Sterling Carl Campbell served in the Royal Canadian Army during World War I and later worked in Hollywood as a technical and action assistant director. Usually uncredited, it is believed that he worked on a number of films involving flying sequences including Wings, Dawn Patrol, Hell’s Angels, Air Circus, Legion of the Condemned, Forced Landing and Ceiling Zero. He returned to Canada to serve in the Royal Canadian Air Force during World War II, but one source states that he ended up back in the US working on war effort films. 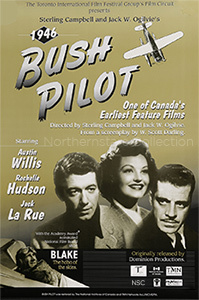 His only verifiable credit as a feature director is the 1946 production Bush Pilot, one of the first narrative feature films produced in English by a Canadian film production company, Dominion Productions Limited. 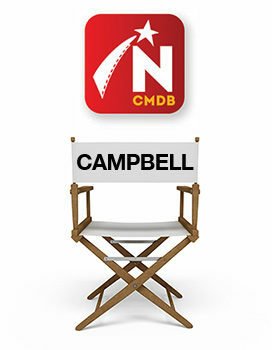 Campbell was a partner in the company along with Bush Pilot’s producer Larry Cromien and costar, Austin Willis. The company never made another movie. In the mid-1950s, Campbell ran for a seat on Toronto City Council but was unsuccessful as he was unable to campaign effectively due to health reasons. This 1997 reproduction of the original Bush Pilot Poster was scanned from an original in the Northernstars Collection.